Thank you for having me as the 2018 Cashmere fiber judge at Barriere, BC. 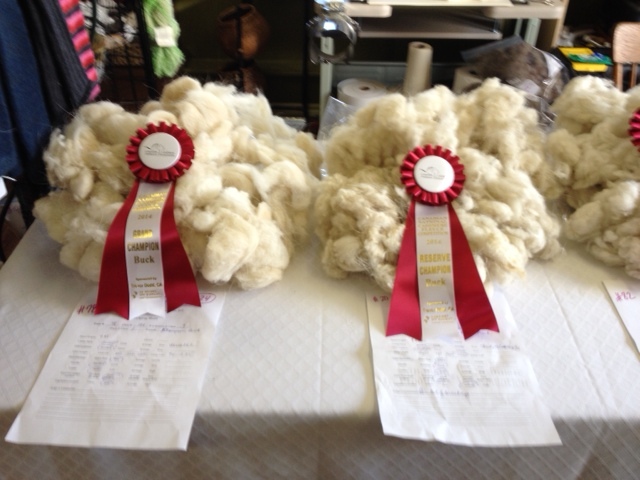 It was a great show where I saw and evaluate lots of beautiful fleeces. 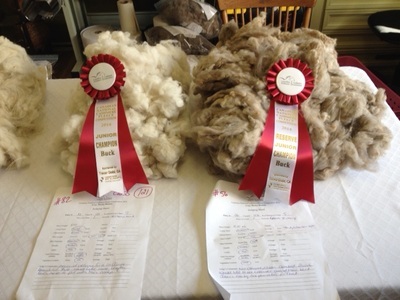 It was exciting to see several fleeces that would take top placing at any show where they were entered. 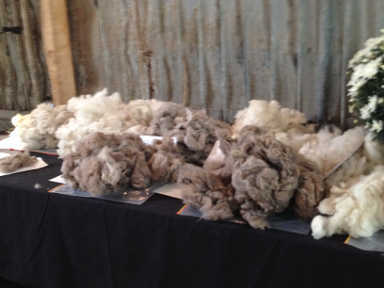 I looked at exceptional fleeces that were both white and colored. 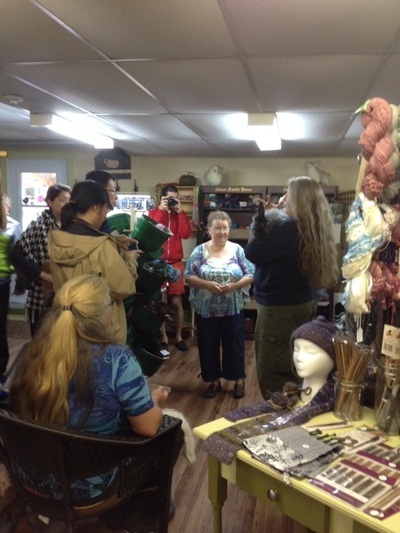 Thank you Jayne D’Entremont and Heide Krause for all of your time and hard work to keep the show running smoothly. 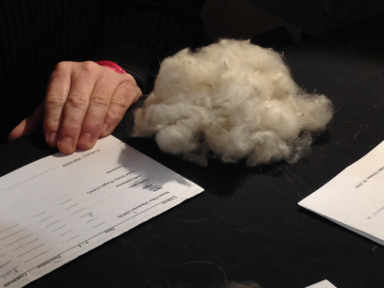 I would also like to thank all of those who took the time to entered their fleece, you did a great job of showing the visitors at the show how wonderful the Cashmere fiber is. 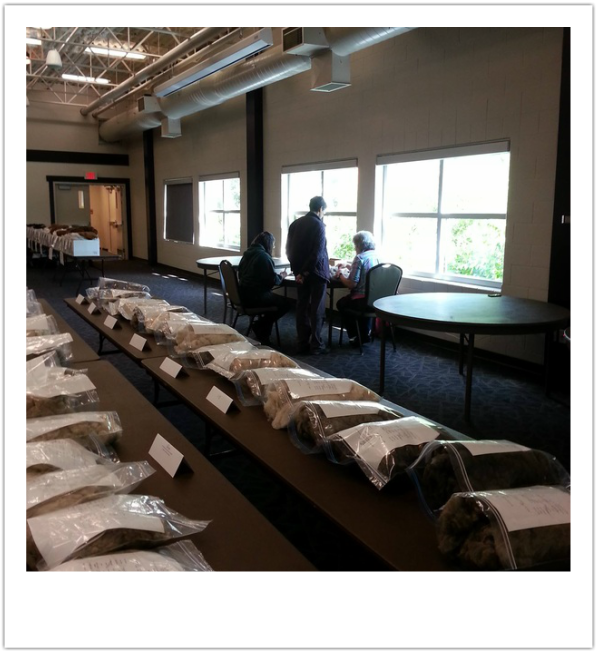 It was my honor and privilege to be your judge and wish you all the best in the future. 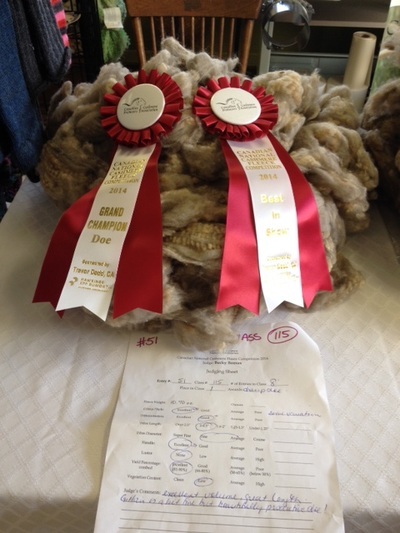 The Canadian National Cashmere Fleece Competition (CNCFC) was judged by Diane Thompson, with fleeces displayed at the Wool and Ewe A'fair in Cloverdale BC on June 10 2017. 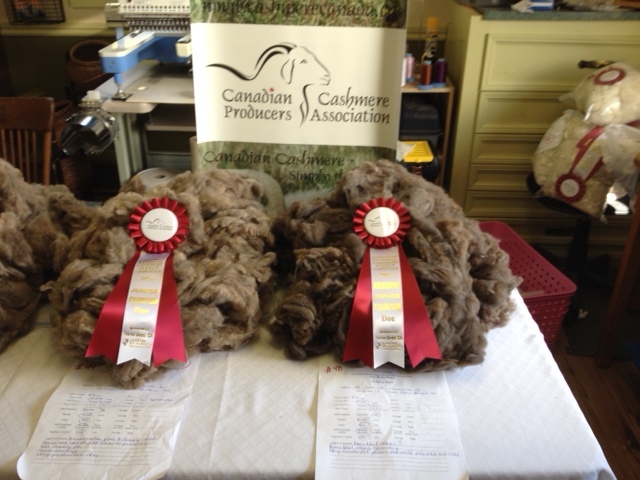 The Canadian National Cashmere Fleece Competition (CNCFC) was held during Fibre Week, Olds AB, June 23rd, 2013. Thank you to Jayne Deardorff of Colville, WA for her perspective in judging this year's cashmere fleece show. 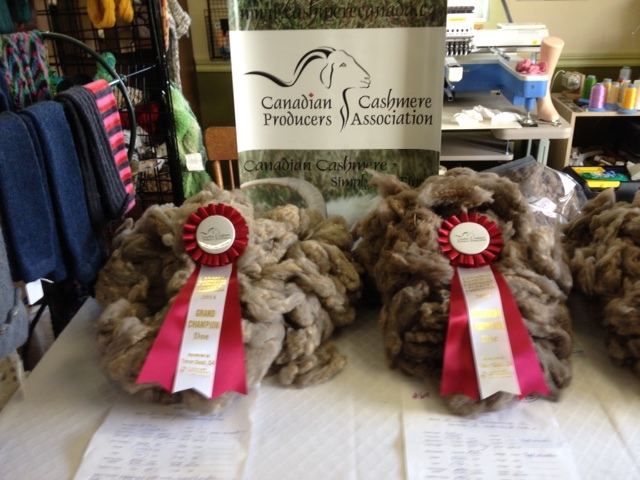 It was my honor and pleasure to be your judge for the 2013 Cashmere fiber competition at Olds College. 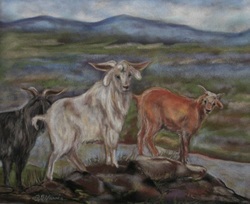 I saw some beautiful fleeces both in style and color. 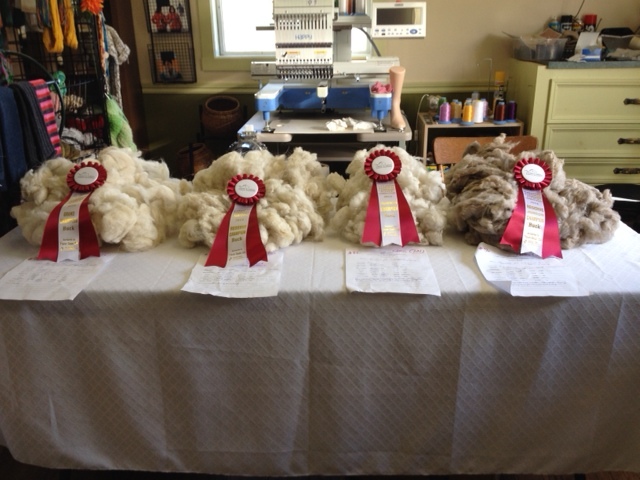 The fleeces, that you took time to enter in the different classes were wonderful! I saw some very nice fleeces and it was exciting to have this quality of fiber for the public to view. 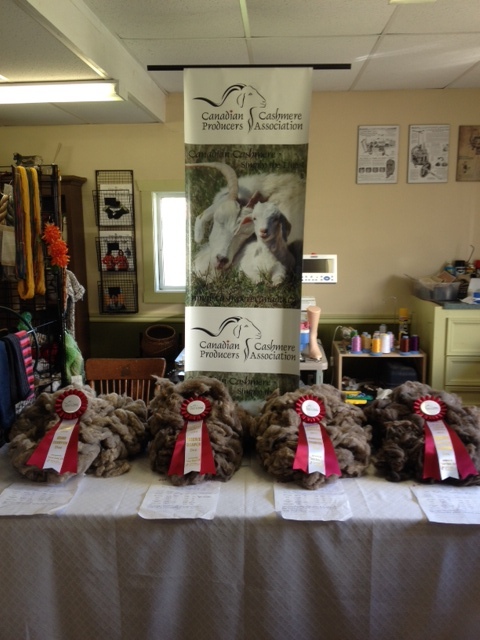 Thank you to all the exhibitors who took the time to enter their Cashmere fleeces. The display that the Canadian Cashmere Producers Association put together with the examples of yarns, finished products, books and magazines, really added a lot of interest for the public to learn more about Cashmere. 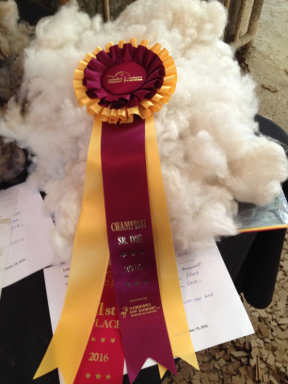 look forward to seeing you entering in future competitions. 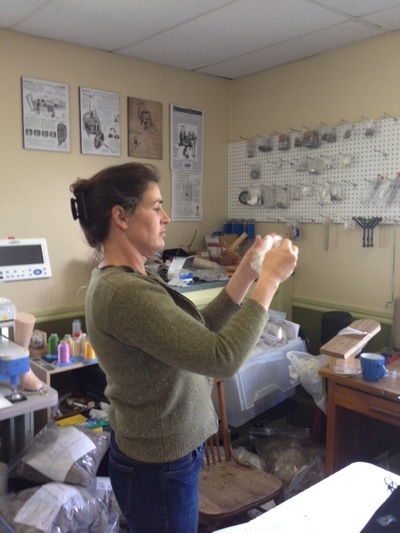 The Canadian Cashmere Producers' Association would like to thank Diana Mullins of Still Waters Cashmere, Twisp, WA, for judging this year's CNCFC!